Sales Manager Allegedly Told Indian Salesman He "Belongs At 7-Eleven"
Two lawsuits have been filed against a Toyota dealership; the first is on behalf on a former salesperson who claims he was harassed due to his Indian background. The second class action suit alleges the dealership withheld pay from employees because of their race. 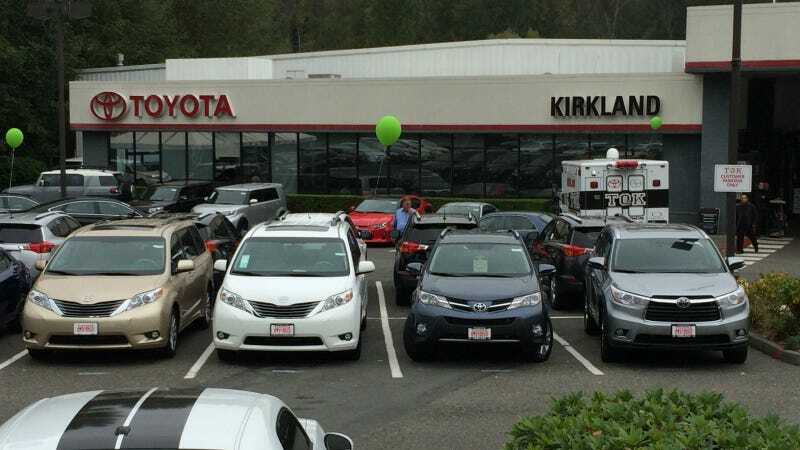 According to a report on Komonews.com, a former salesman at Toyota of Kirkland, says he was fired after complaining to his superiors about the racist remarks his manager made. He is now suing the dealership for harassment, a second class-action lawsuit was filed and alleges that the dealership withheld commission from its immigrant employees. The first suit alleges the general sales manager at the dealership told Kayshel, who was born in India, that he "belongs working at a 7/11 not in a car dealership." The suit also contends that the same sales manager used negative terms in referring to immigrant customers and would say things such as, "who let them into our country?" "We believe that this is not an isolated situation, that Ruhul is not the only person discriminated against...Lawsuits are filed to stop bad behavior...We need to make it expensive to be a racist in America." Auto salespeople are a pretty diverse group made up of men and women from a whole variety of backgrounds and cultures. For most dealerships it doesn't really matter where you come from as long as you can make that sale. I guess some people prioritize racism over profits.